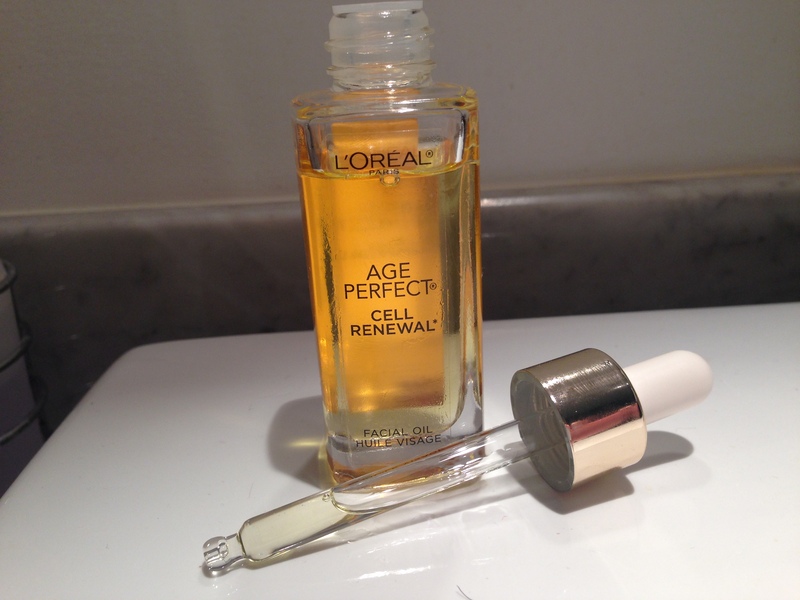 I was fortunate enough to be given a bottle of L’Oreal’s Age Perfect – Glow Renewal Facial Oil to try out. Despite being a gift this in no way influences my opinion of the product. I have crazy dry skin – and given this stupid winter weather in Toronto these days I need all the help I can get in keeping hydrated! RESULTS INSTANTLY: Skin is nourished through hydration. Skin appears brighter, more radiant. I’ve only been using it for a week or so however I do notice that my skin is well moisturized and looking so much better. This entry was posted in Beauty and tagged anti aging, face care, L'Oreal, moisture, moisturizing, oil, skin care by maldham. Bookmark the permalink.